WASHINGTON (CNS) — The Archdiocese of Oklahoma City announced that one its native sons, Father Stanley Rother, a North American priest who worked in Guatemala and was brutally murdered there in 1981, will be beatified Sept. 23 in Oklahoma. “It’s official! Praised be Jesus Christ! 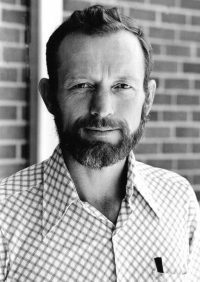 Archbishop Coakley received official word this morning from Rome that Servant of God Father Stanley Rother will be beatified in Oklahoma City in September!” the archdiocese announced March 13 on its Web page. Pope Francis recognized Father Rother’s martyrdom last December, making him the first martyr born in the United States.